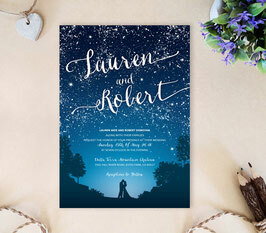 Invite those you love to your soon-to-be wedding scheduled to be under the stars with our Starry Night Wedding Invitation. 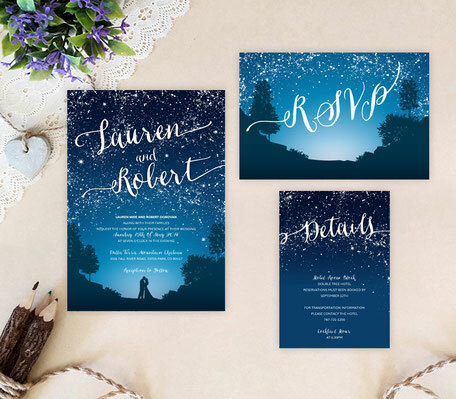 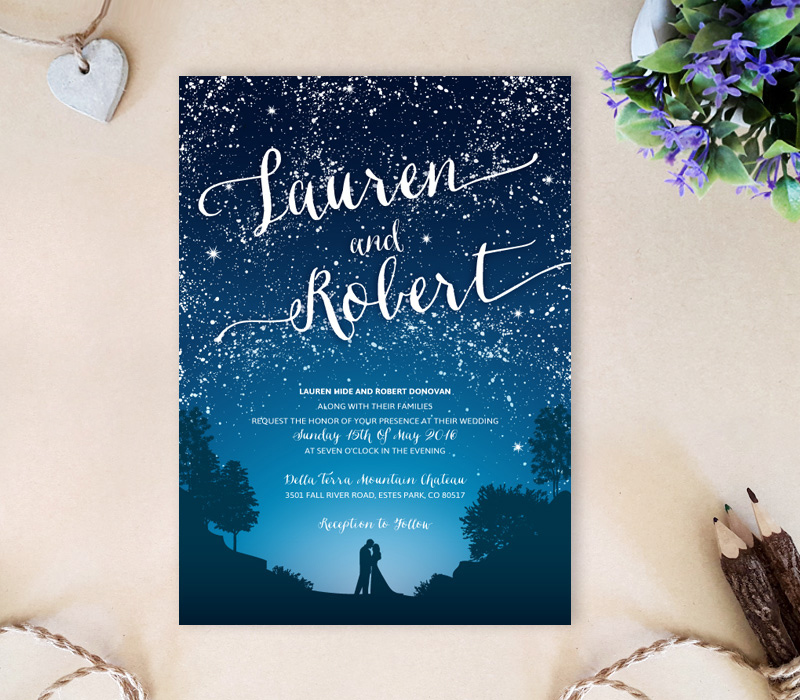 Our graceful starry night wedding invitations display an amazing outdoor scene complete with shimmering stars and exquisite calligraphy. 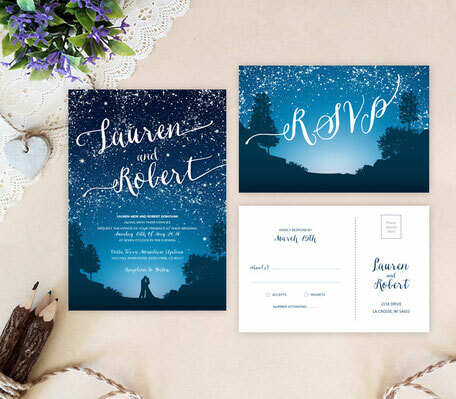 Each wedding invitations are printed on premium card stock and features a dark blue hue.